Elmore County is a county located in the state of Idaho. 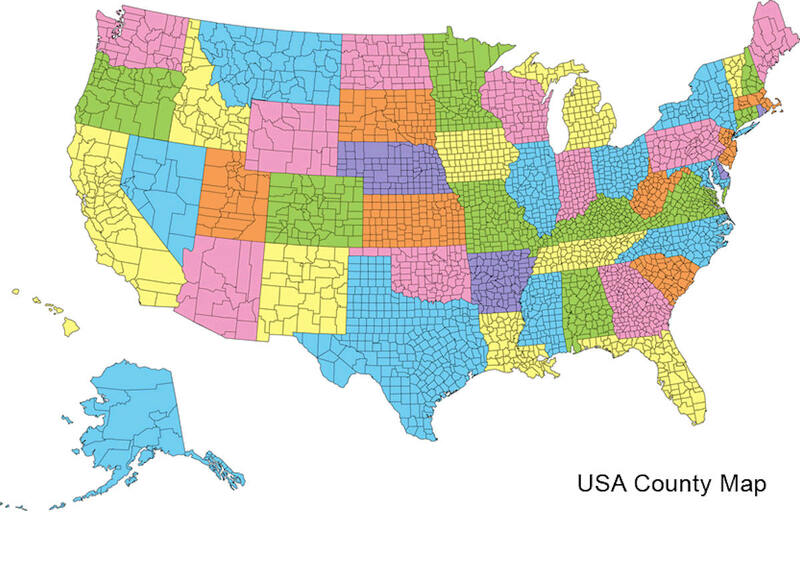 Based on the 2010 census, the population was 29,130. Elmore County was created on February 7, 1889. The county seat is Mountain Home. The county is named for the Ida Elmore mines, locally noted for gold and silver production in the 1860s. Elmore County comprises the Mountain Home, ID Micropolitan Statistical Area, which is also included in the Boise-Mountain Home-Ontario, ID-OR Combined Statistical Area. Elmore County is named for the Ida Elmore mines. 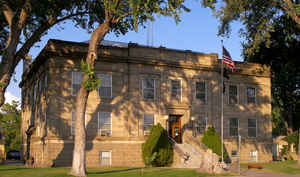 Established February 7, 1889 with its county seat at Rocky Bar. Named for the Ida Elmore mines, the area's greatest silver and gold producer of the 1860s. The Oregon Trail crossed the Snake River at Three Island Crossing near Glenns Ferry. A station on the overland stage route, originally named Rattlesnake, was moved to the railroad line and became Mountain Home. On February 4, 1891 the county seat was moved to Mountain Home. As reported by the Census Bureau, the county has a total area of 3,101 square miles (8,030 km2), of which 3,075 square miles (7,960 km2) is land and 26 square miles (67 km2) (0.8%) is water. 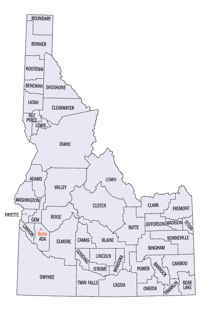 Elmore county is located close to the center of Idaho. The highest point is Snowyside Peak at 10,651 feet (3,246 m) above sea level, located in the northeast corner of the county in the Sawtooth Wilderness. 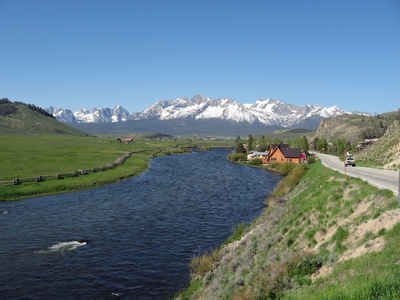 The lowest elevation in the county is the Snake River in the southwest corner, at less than 2,500 feet (760 m).